A utensil to suit all your cooking needs. Spruce up your kitchen with this durable nylon kitchen utensil set. Keep your beloved kitchen appliances scratch-free with these sleek, durable nylon kitchen utensils. Always misplacing utensils? No problem! 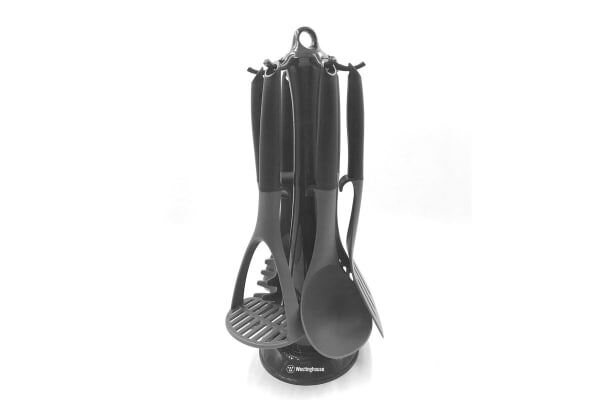 The Westinghouse 6 Piece Kitchen Utensil Set comes with rotating stand to store away all utensils together, hassle-free.